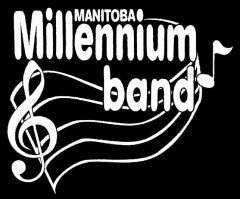 The following rehearsals will be held at St James Legion #4 (1755 Portage Ave) Free parking behind the legion. Use the front doors on Portage Ave and up the short flight of stairs on your left to the upper level. We will have access to the room for 30 minutes prior to rehearsal start time. The room is booked by another group for 12:00 pm, so we will have to vacate the room after rehearsal promptly. The following rehearsals will be held at Bourkevale Community Centre – 100 Ferry Rd. Rehearsal from 7:00 pm – 9:00 pm on Wednesdays. Free parking available. Rehearsal space doors will be open 30 mins before start and 30 mins after the end. Help with arranging chairs is always appreciated! Call time is 30 minutes prior to performance time indicated below.